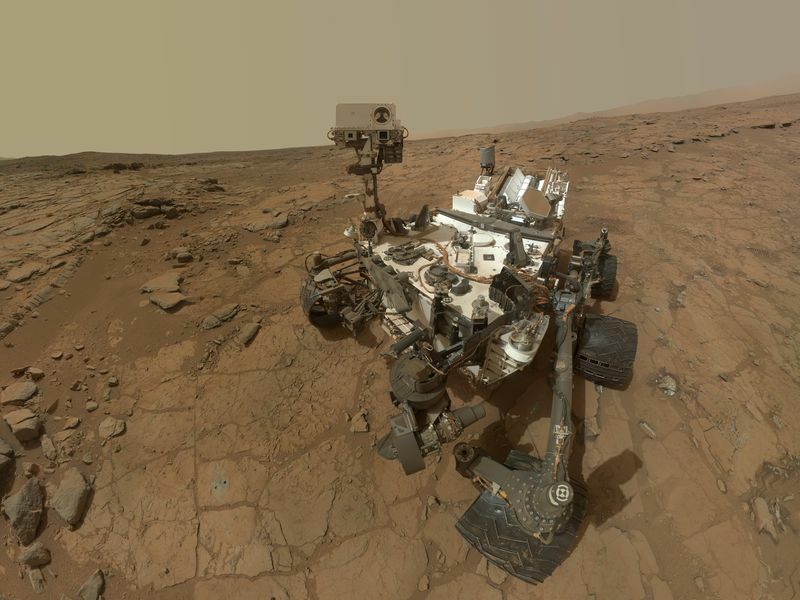 This self-portrait of NASA's Mars rover Curiosity combines dozens of exposures taken by the rover's Mars Hand Lens Imager (MAHLI) during the 177th Martian day, or sol, of Curiosity's work on Mars (Feb. 3, 2013), plus three exposures taken during Sol 270 (May 10, 2013) to update the appearance of part of the ground beside the rover. The updated area, which is in the lower left quadrant of the image, shows gray-powder and two holes where Curiosity used its drill on the rock target "John Klein." 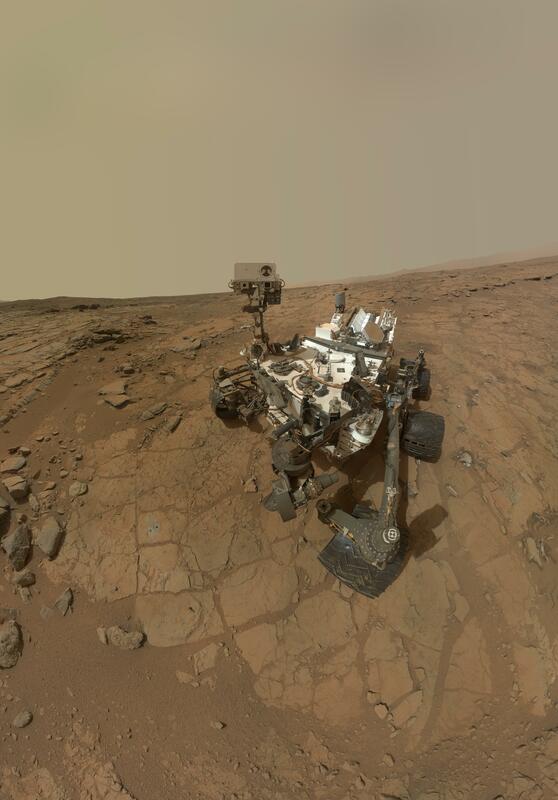 The portion has been spliced into a self-portrait that was prepared and released in February (PIA16764), before the use of the drill. 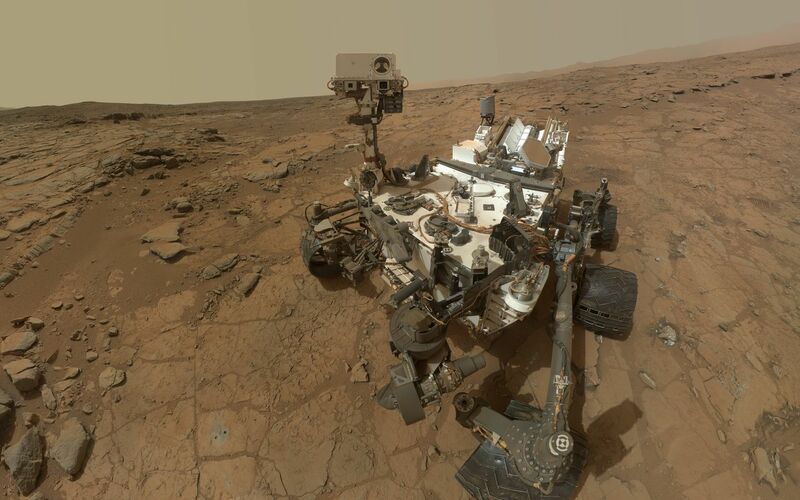 The result shows what the site where the self-portrait was taken looked like by the time the rover was ready to drive away from that site in May 2013. The rover's robotic arm is not visible in the mosaic. MAHLI, which took the component images for this mosaic, is mounted on a turret at the end of the arm. Wrist motions and turret rotations on the arm allowed MAHLI to acquire the mosaic's component images. The arm was positioned out of the shot in the images, or portions of images, used in the mosaic.